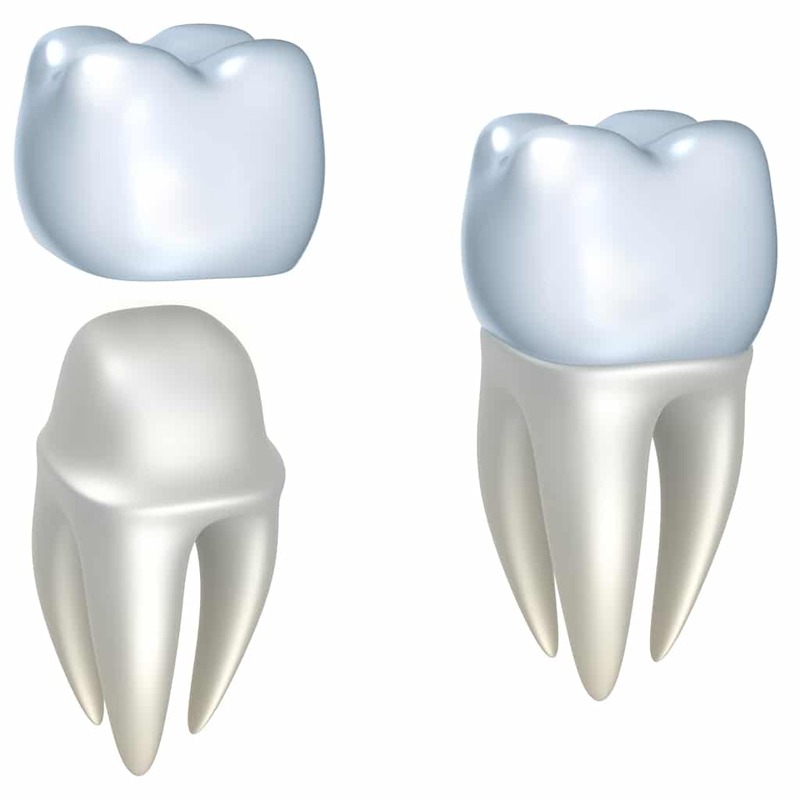 A dental crown is a cover for the tooth made of either porcelain, porcelain fused to a precious metal base, or gold. In more recent times there has been tremendous development in new tooth coloured materials such as Zirconia to restore badly damaged or crooked teeth. Some people may call a crown a cap, but this term is often also used for a bonded tooth coloured filling. Crowns can last many years and help to strengthen teeth that would otherwise break if the corners of the tooth have been heavily filled. 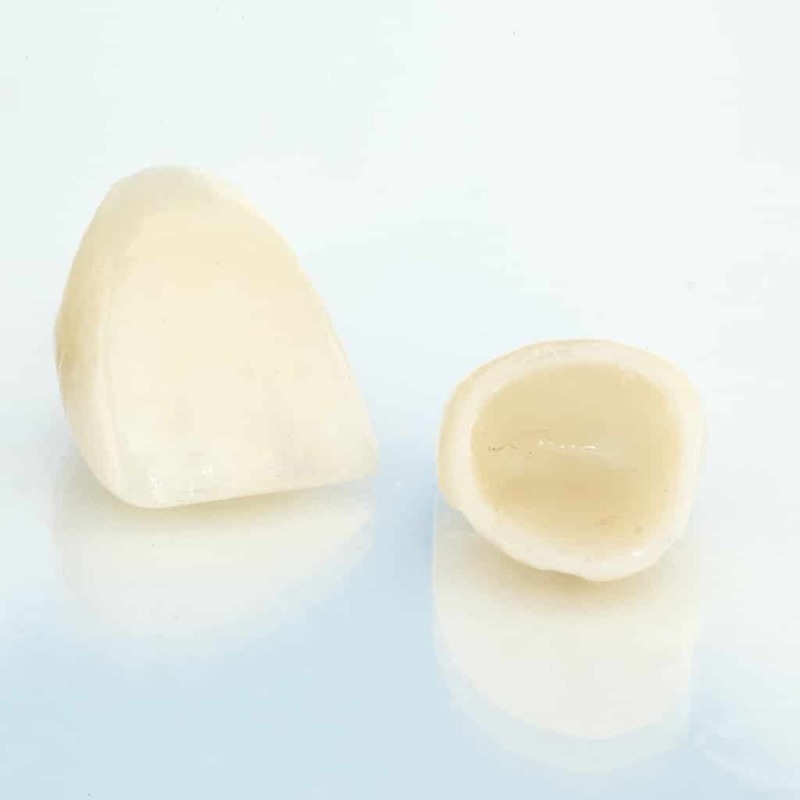 The first adult molar is often a heavily filled tooth that eventually may need a crown. Many people have crowns on their front teeth as a long term consequence of injury to their teeth when younger. 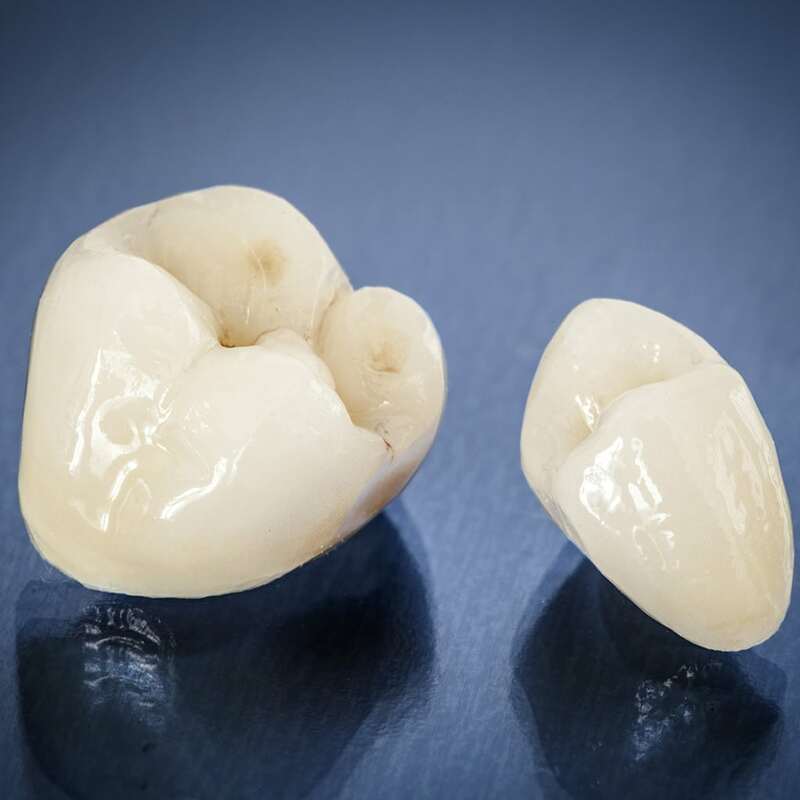 Crowns are often the best choice, particularly for teeth that have had a root canal as much of the tooth structure has been removed, or they have discoloured badly. Crowns usually involve an hour appointment to make the preparation of the tooth, take impressions and fit a temporary crown. As with any drilling work on a tooth there is a small risk of upsetting the nerve or dental pulp, but this is rare. With the advent of more modern materials and methods, less tooth surface removal may required. But sometimes the old fashion methods may still be best, such as a gold crown on a back tooth that is less visible but is under stress from a grinding habit. A crown is a more expensive item in a dental treatment plan as it involves many expensive materials, increased time and expertise, and a third party, a dental technician, to craft the best fit and look we can achieve. A good crown usually requires several working days to be crafted and returned for insert. We always check you are happy with the finished product prior to cementation. We use technicians that we have been working with for years who we know produce top quality work and have lasting results. We don’t send our work overseas, unlike some practices. Quality should not be compromised. The cliché is true, you get what you pay for. Want to Know More About Crowns? Call Australind Dental Centre on 08 9725 8812 to make an appointment and discuss your particular needs for a dental crown.